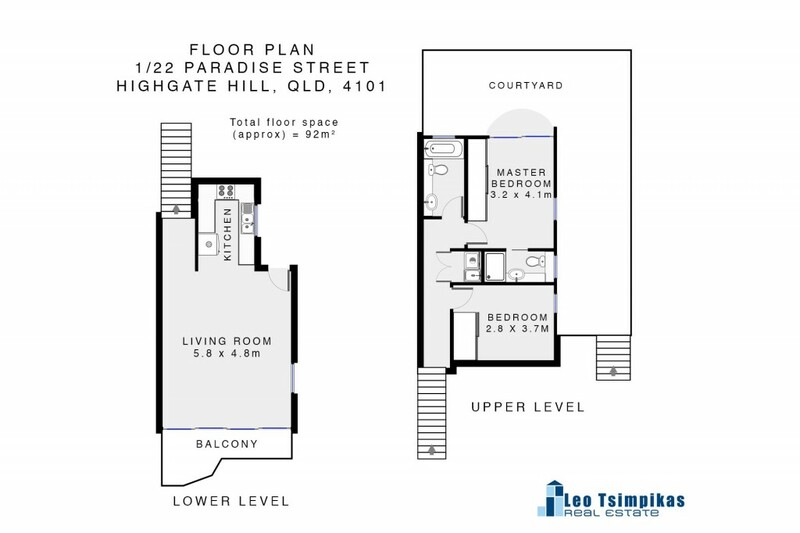 Situated in a quiet tranquil position in this popular inner city suburb of Highgate Hill only 2kms from the City. Spacious 2 bedroom apartment in a small block of 4 with reasonable body corporate fees. Undercover parking and visitor parking bay. Main bedroom with ensuite and both bedrooms with built-in robes, air conditioning in 2nd bedroom, Hostess galley style kitchen with all mod cons. This unit is different - elevated, balcony with green suburban views overlooking a family friendly park. Solidly built with integrity, the old fashioned way, plenty of natural light, living area to entertain and relax. Its' amenity is unique with a private courtyard, Bus at door and short walk to the UQ and City Ferry - City Cat. A 15 minute walk to Southbank Parklands and all other inner city attractions eg: QPAC, Museum, Theatres and of course the unique West End shopping strip with its' own cultural difference and vibrant nightlife. You must inspect and be pleasantly surprised.